Hey, I'm Stephen, I started Springfield Carpet Cleaning after working in the industry for years. I noticed how poor of a job most residential carpet cleaning companies were doing. Our team has done hundreds, if not thousands of cleaning jobs including rug cleaning, upholstery cleaning, steam cleaning, stain removal, and carpet washing. 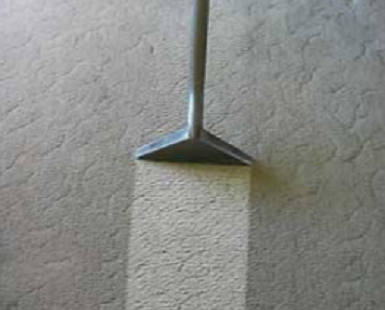 Moving from commercial carpet cleaning to residential carpet cleaning in Springfield has been an exciting transition. Residents all over Springfield are getting an industrial clean for the price of a residential cleaning job. We have many satisfied customers already, and some very sour competitors near Springfield. Enough about our story. This is about your home. You've probably got stained carpets, some furniture that hasn't been cleaned in years and you've been putting this call off for a good while. We call ourselves the Best Carpet Cleaners in Springfield because we can back it up. We know that you want a serious carpet cleaning job that doesn't seriously damage your wallet. 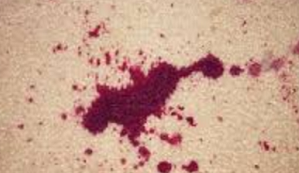 Our carpet cleaning service is priced competitively even though the competition does a lousy job. We're at: (413) 551-3337. I'll be handling all the calls. Everyone says that I'm a nice guy (except for my son). We have a wide variety of different services to choose from because we've been doing this cleaning thing for a long time. Many of our customers always request more than just carpet cleaning. We offer many services that you wouldn't normally expect from a carpet cleaner like steam cleaning, power washing, and rug cleaning. Check out the follow services that we have to offer, and see which cleaning service best fits your house and home. Cleaning Services in Springfield Mass done right! Our Carpet Cleaning service the most advanced carpet cleaning equipment in the industry. No longer will you have to settle for sub par results when you call your local carpet cleaner. We've made the move from commercial carpet cleaning to residential carpet cleaning because we can blow the local carpet doctors out of the water with our superior equipment. We still offer commercial carpet cleaning services. However, our residential carpet cleaning service has been a big hit near Springfield MA. Give our Carpet Cleaners a call today for an estimate at (413) 551-3337. One of our biggest carpet cleaning specials is spot cleaning being included in our standard pricing. Spot cleaning or more generally known as stain removal is one of the biggest reasons residents throughout Hampden County, Massachusetts give us a call. ​Damn dirty carpets right? Give your carpeting the clean that it deserves. You spend all week working only to come home to a less than clean home. 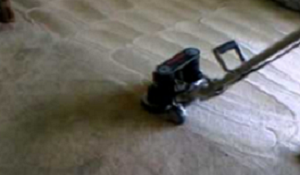 Our carpet cleaning services are the most affordable in Hampden County. What are you waiting for? Call us today! Carpet Shampooing is very 1990, because all the new carpet cleaning equipment has a shampoo cleaning system inside. We still offer "carpet shampooing near me" because people are always looking for the old school carpet shampooing service. Why Choose Springfield Carpet Cleaning? Being a family man myself I'm a firm believer in the importance of eco-friendly carpet cleaning practices. Our cleaning solutions aren't filled with harmful chemicals, but depend on the muscle of our industrial strength cleaning equipment. 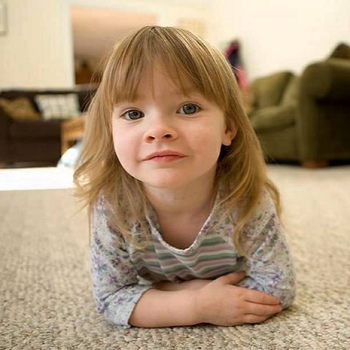 Environmentally safe carpet cleaning solutions are very important for family safety. Bundle your cleaning services for a discount! Our Carpet Cleaners are unique because we offer a variety of services to the local Hampden County Community. We offer rug cleaning service, steam cleaning, stain removal, spot cleaning, and much more. You can check out the full list of affordable cleaning services available locally in Springfield clicking services in the top right hand corner of the screen. Not all Springfield Carpet Cleaning services offer upfront pricing over the phone. We always want to make our local Hampden customers happy. Making them happy is delivering an upfront price with no hidden fees. We make sure that our carpet cleaning service has the best upfront pricing in all of Hampden County. You read that right! Choose Springfield Carpet Cleaning and your service is 100% guaranteed. If you're not impressed by our uncanny ability to clean your carpets than you keep your money. Our Cleaning Company is confident that you'll be amazed by how white your carpets can be. What do you have to lose? Give us a call today at (413) 551-3337. John will schedule your carpets to be cleaned within the week. Don't you hate having your carpets cleaned just to have to wait 2 days to actually walk on them? Don't worry our Springfield carpet cleaning specialists will make sure that your carpets are ready to be used in under an hour. The other local carpet cleaners in town will say that's not possible! Just because it's not possible for their walmart carpet cleaning system doesn't have anything to do with us. Just because we're the best carpet cleaners in Springfield Massachusetts doesn't mean that we're the most expensive. We keep all of our professional cleaning services such as rug cleaning, steam cleaning, upholstery cleaning, spot cleaning, and carpet wash affordably priced for residential residents. At Springfield Carpet Cleaning you pay for clean carpets, and you get amazing service for free. Our business relies on testimonials from our happy customers throughout Hampden County. We make sure to do the best job every time no matter if our customer hammers us on the price or if we show up to a 10X20 room that's really 10X40. We certainly don't suggest pulling that one over on us because you'll incur an additional cleaning fee. However, our carpet cleaning team won't judge you even if you try and pull a fast one! Springfield Carpet Cleaning is Quick! Normally getting my carpets cleaned is super expensive, but with the guys from Springfield Carpet Cleaning it was quite affordable. I found out that they did rug cleaning, carpet washing, and tile & grout cleaning too! It was great being able to tack on a few of those other cleaning services without having to reschedule the job. Thank goodness for a Clean Couch! I knew that I needed to get some upholstery cleaning done for lets say... the last 6 months. My couch has grossed out so many potential boyfriends that I knew it was time to schedule a cleaning. I was happy with the fact the the Springfield Cleaning Service was able to clean my couch, carpets, and do power washing all in one job! 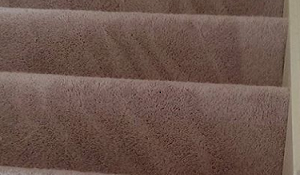 Springfield Carpet Cleaning Answers ALL your Questions! The cost of Carpet Cleaning is heavily dependent on how many rooms need to be cleaned, the square footage of each room, and where the rooms are located. To maintain an accurate quote on cleaning service please make sure you give us the exact specifications of your room's location. Many times we drive through Hampden County up to a home in Springfield to find out it's on the 13th floor a high rise, and we're all setup with our truck mount cleaning system for ground level houses. What kind of Cleaning Services do you have available? We have tons of quality cleaning services available to residents throughout Springfield, MA including rug cleaning, carpet washing, carpet shampooing, power washing, stain removal, steam cleaning, and much more. Give us a call for a full list at (413) 551-3337. What parts of Springfield do you service? Our Carpet Cleaners service every part of Springfield including 01020, 01106, 01118, 01152 and other nearby zip codes.